The resolution gives the World Health Organization a clear mandate to increase prevention measures and ensure access to safe, effective and affordable treatments, said David Williams, Head of the Australian Venom Research Unit (AVRU) in the University of Melbourne’s Department of Pharmacology and Therapeutics. “Snakebite victims have fallen through the cracks of the global public health agenda for decades, so this recognition by world leaders in health is a long overdue and very important step forward”. Dr Williams heads the WHO Snakebite Envenoming Working Group, an international committee of snakebite experts WHO has tasked with developing a roadmap to mobilise support and tackle snakebite envenoming on a global scale. He is also WHO’s technical advisor on snakebite and was in Geneva for this week’s World Health Assembly meeting. “The resolution is the result of a strong and determined collaboration between global experts including the AVRU, the Global Snakebite Initiative, Medecins sans Frontieres, and countries from snakebite endemic regions for whom enough was enough,” Dr Williams said. Dr Williams said the WHO now had a clear mandate, but funding was crucial. 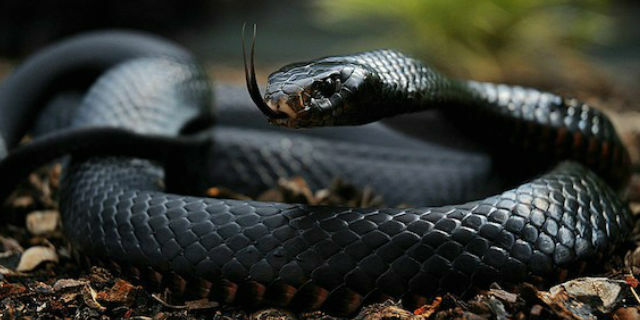 He said US$6 million was needed in 2018-19 to launch the WHO snakebite road map, improve surveillance, deliver antivenoms to affected regions and address technical and medical challenges to halve the number of snakebite deaths and disabilities by 2030. “It is imperative that countries with resources and expertise such as Australia, who supported the resolution, now join with the WHO and countries in affected regions to deliver the resources and expertise needed for sustained control,” Dr Williams said. “Snakes bite ordinary men, women and children who are just trying to survive poverty and support themselves. Snakebite drives them further into the poverty cycle, undermines productivity and development at local, national and regional levels. - More than 2.5 million people every year are bitten by venomous snakes. Of these, 81,000-138,000 die and a further 400,000 people are left with permanent disabilities. - Dr Williams helped found the Global Snakebite Initiative, a non-profit NGO directed by researchers and clinicians from around the world, who since 2008 have been lobbying the WHO and global community to address snakebite envenoming. - Last year the WHO designated snakebite envenoming as a “Category A Neglected Tropical Disease”, the highest priority ranking, necessitating a coordinated WHO response.